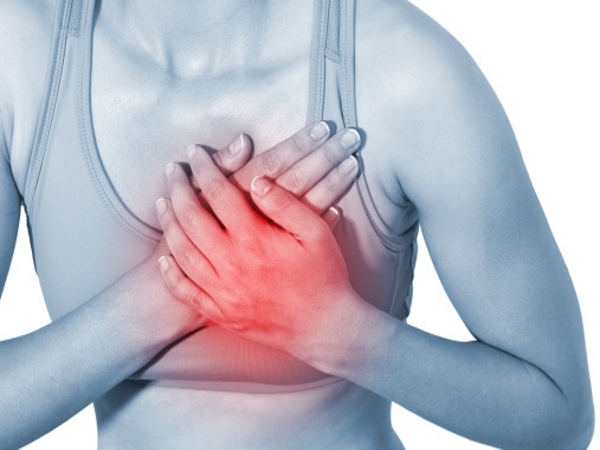 How to deal with Acidity? Today’s hectic lifestyle has resulted in lots of common health issues like frequent headache, constipation, insomnia, high cholesterol, low vitamin levels etc. The most common is acidity problem. Acidity is faced not only in older generations but also in young population who are still studying or have just started working. The main reason behind this is very clear. First is irregular eating patterns and second it increased amount of stress on the body. Adding to irregular meals is also eating more of junk food and opting for processed foods over home cooked foods. In my practice till date, I have come across many people who are facing this problem of acidity. One of the commonest reasons I came across is that the water intake level is on the lowest side. As we all know water is the best neutralizer. So in case where there is no hydration to the body and no neutralization of these acids than there would be definitely high levels of acid accumulation. Another reason is skipping of meals. It is very essential to provide body with frequent meals. If you miss on your meal still make sure you have some light snack may be a glass of fresh juice or milkshake, some fruits and handful of nuts or dry fruits. Staying hungry for a longer time will definitely worsen the acidity giving more trouble. So if we want to stay away from acidity we should know what exactly acidity is and how to deal with it. Acidity is a condition wherein there is excess secretion of acid by the gastric glands of the stomach. Eating spicy foods, lack of exercise, irregular eating habits, stress, or drinking alcohol frequently can lead to acidity problems. If you suffer from frequently suffer from acidity, Drink lukewarm water early morning empty stomach and also before going to bed. Avoid drinking water immediately after your meals, Keep minimum one hour gap so that the digestion takes place properly. As I discussed at the very start of the article that acidity is mostly lifestyle related. 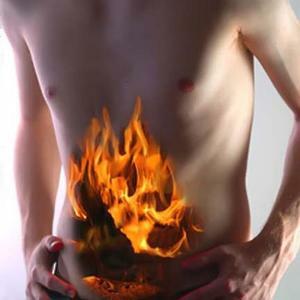 So making chances to lifestyle or behaviour can prevent or improve symptoms of acidity. Main two changes to be done in lifestyle modification is to stop smoking nd loose some weight if the person falls in obese category. 8. Chew a stick of gum after meals to increase saliva production, which research shows can reduce acid levels in the esophagus. 9. Studies found sleeping on your stomach or right side can cause additional pressure that increases GERD symptoms. Left-side sleepers report relief. Home Remedies: Following are few Indian herbs which has great effect in treating acidity. 4. Eat a Red Delicious apple after problematic meals. – Skip the aerated drinks as well as the caffeine. Opt for herbal tea instead. – Have a glass of lukewarm water everyday. – Include banana, watermelon and cucumber in your daily diet. Watermelon juice is great for curing acidity. – Nariyal paani (Coconut water) is known to soothe the system if you suffer from acidity. – Drink a glass of milk – everyday. – Have your last meal at least two to three hours before you hit the sack. – Keeping long intervals between meals is another cause for acidity. Have small but regular meals. – Try to avoid pickles, spicy chutneys, vinegar, etc. – Boil some mint leaves in water and have a glass of this after meals. – Sucking on a piece of clove is another effective remedy. – Jaggery, lemon, banana, almonds and yogurt are all known to give you instant relief from acidity. – Excessive smoking and drinking will increase acidity, so cut down. – Try chewing gum. 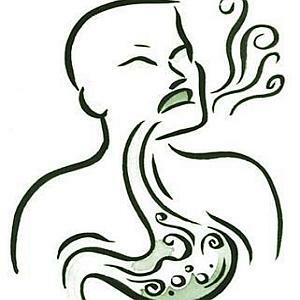 The saliva generated helps move food through the esophagus, easing symptoms of heartburn. – Ginger aids in digestion. Either buy powdered ginger in capsule forms or add the herb to your recipes. – A simple preparation of lemon water with sugar can be sipped on an hour before lunch to reduce uneasiness. – Have vegetables like drumsticks, beans, pumpkin, cabbage, carrot and spring onions. – Baking soda also gives some instant relief. I am sure many of you all must have got answer to your problems. So please take care of yourself and try to avoid those situations wherein you will have to face acidity. 5 Tips To Choosing A Reflux Remedy Diet Tips for hyperthyroid patients. How to deal with exam stress? Acidity home remedies, Acidity home remedies when pregnant, Acidity problem, How to deal with Acidity?, How to stay away from acidity? Acidity remedies, What are causes of acidity?, Why does acidity occur? 4 Responses to How to deal with Acidity? Hey, I am student studying nutrition. I found your website very informative. May I know what source of information you are using for your website? Thank you so much for such a precious home remedies.I was really needing this.